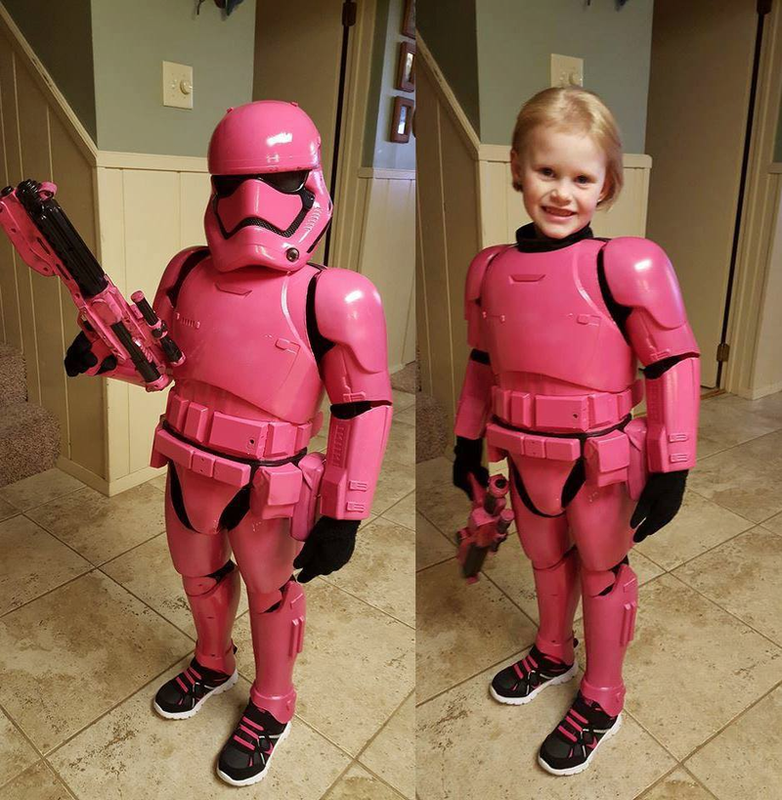 Last October, we found that you could take one of the Jakks 48 inch First Order Stormtroopers and turn them into an amazing costume for your kid. Since then, costumers have been snapping them up for that very purpose, but Jim Brock just outdid them all. Seriously, we’re dying from the cute. It’s a fantastic build, and she looks very, very happy with the result. Parenting done right.